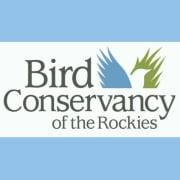 Bird Conservancy of the Rockies conserves birds and their habitats through an integrated approach of science, education and land stewardship. Our work radiates from the Rockies to the Great Plains, Mexico and beyond. Our mission is advanced through sound science, achieved through empowering people, realized through stewardship and sustained through partnerships. Together, we are improving native bird populations, the land and the lives of people. Delivering bird conservation at biologically relevant scales by working across political and jurisdictional boundaries in western North America. Would you recommend Bird Conservancy of the Rockies?